Follow the latest news stories from the National League, including transfers and selected contract announcements. 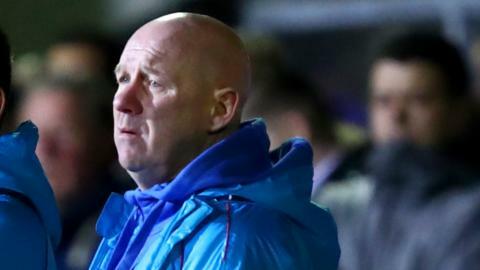 Salford City's automatic promotion hopes suffered a serious blow after a narrow defeat by fellow high-flyers AFC Fylde. Substitute Matt Green scored an 88th-minute winner at Boreham Wood to keep Salford's automatic promotion hopes intact. David Beckham says "he's been waiting for a while" to take a 10% stake in National League club Salford City. What's Salford City FC like under the Class of '92? Read more on What's Salford City FC like under the Class of '92? Luke Giverin thought he might make it at Man Utd before rejection hit him hard - but he has rebuilt his life as a coach and trainee barber.